Thanks for the info! Good work, keep it up. Error: Dependecny is not satisfiable:python-suppport. What about support for wget command? I like using it because you know specifically where your packages are coming from where it can be from any of a number of places using aptitude and apt-get. very easily, thank you very much!!! 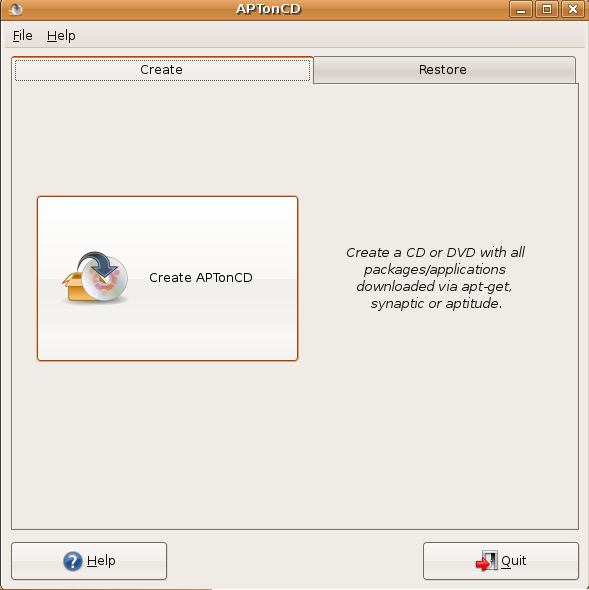 “dependencies of the desired file not available in ubuntu 8.04 ? Many people use the computer janitor, or remove the package files from /var/cache/apt/archives manually to clean their systems. 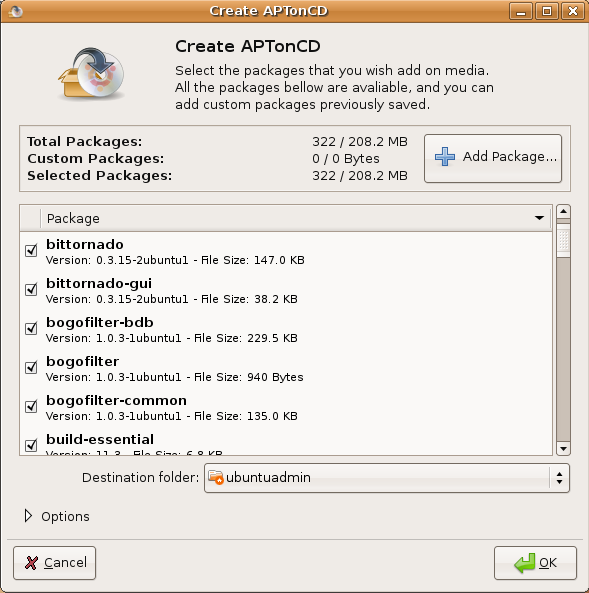 I’m assuming Aptoncd would only backup the packages you’ve yet to clear out of that dir… right? @chris funck, donno what you’re talkin’ about. It does depend on the nautiluscdburner but you can always install it again. Looks great, the sys folder /var/cache/apt/archives has a limited amount of recently added/updated software. How do I create a complete image of all currently loaded packages on my sys so I can get off Karmic. My connection is too slow to redo it in synaptic. i have done all those steps above but, i don’t know how to install the packages on my system, as i have restored them on the usr/cache/apt/archive but packages are still not installed in my system(mean i can not use or even see them in my programs list. please help and also tell me how will i know which packages are restored and are available in the archive folder? i have even tried apt-get install to install them but as far as my view is concerned i think this command does not take a look at already available packages and picks them from the download server. How much time does it takes to do the back up ? I am just taking the back up of the files in the /var/cache/apt/archives. I clicked on the burn. It is not showing me any message.